I have a crazy weakness for lemon. I like lemon pie, key lime pie, lemon of chicken fried steak, ice cream, chicken picatta, etc. I live to walk and try new places or find hidden jewels in big cities. I am drawn to craft fairs, feathers, natural materials, and elephants. India is on the top of my travel wishlist. I am a chemist who does renewable energy research. I admire my sister for how hard she worked to get where she is, and how nothing can stop her. "Imagination is more important than knowledge," and I didn't say that, Albert Einstein did! I was working with other students in a physics circuits lab. With pliers and wires, I started making earrings and bracelets out of capacitors and resistors! Then, I decided to buy more wire, and beads, and my designs became a bit more complicated: capacitors with beads. 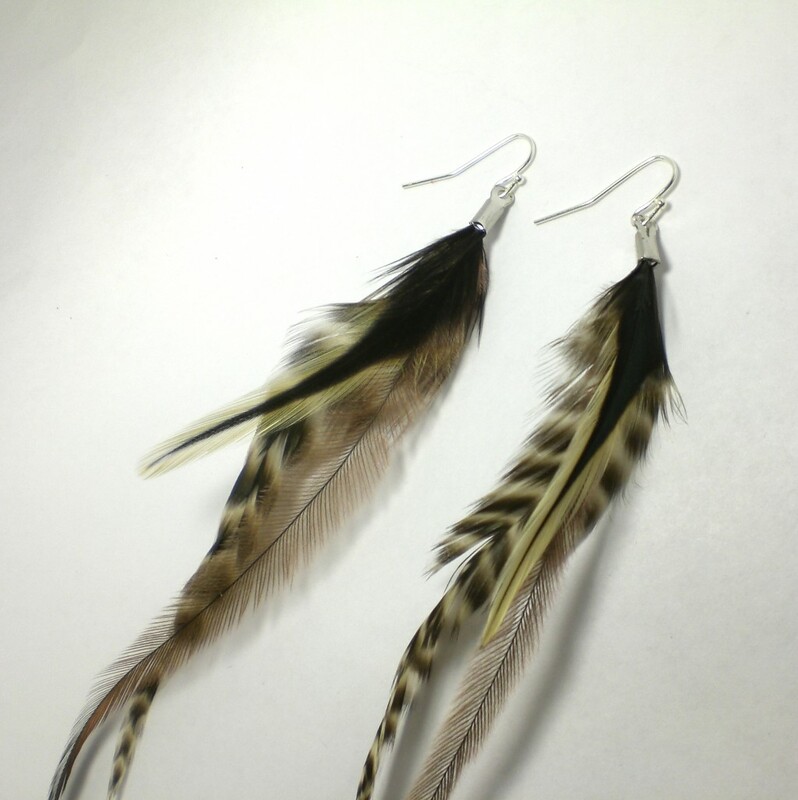 Finally, I tried different things and, as of now, I am in love with feather jewelry. I never took a course, and I love learning from myself and all the mistakes I have done. Nature. All of my creations use natural materials or glass in order to transfer than passion I have for natural beauty to everyone. 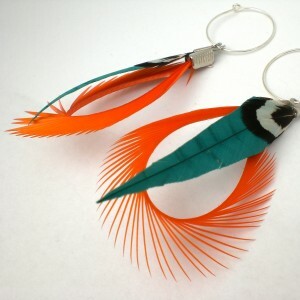 That is why I love to make feather accessories so much, because I enjoy the feeling of freedom feathers give. I love making feather hair extensions, although they are much harder and time consuming than earrings. I start by choosing a combination of feathers within the same color range and mood. Choose the cord, the beads and I let my imagination and hands lead the way. I allow myself to change and start over, and that is how I learn how to improve the next time. I sell my crafts in my Etsy shop. I love Etsy because it is such a community based online shopping site! I give away a lot of my jewelry to friends and family members. Uniqueness and the story behind every item. It is wonderful to know that someone out there used their own hands to make art for you!